Sometimes our lives change so much that our traditions no longer fit. 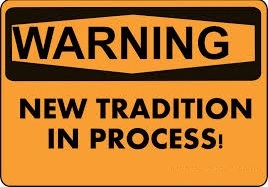 When that happens, we can feel empowered to change our traditions or even create new ones for new times. The Celtic Clan will be leading all of the music this morning, including an update of a traditional piece.